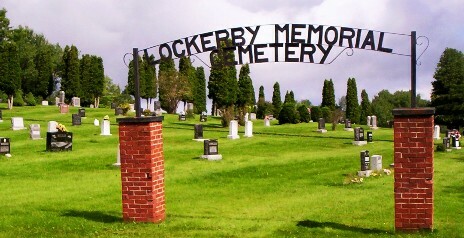 First interment was Ninian Lockerby, 1846-1925. Land was originally in the Lockerby property. This cemetery is divided into 5 sections by 4 roads. In an effort to make it easier to find a particular marker, the sections have been lettered A, B, C, D, E. The numbers start in Section A which is found next to Rt. 6. This numbering system then continues north through section B, etc. Directions: From Tatamagouche go East on Rt. 6. Cross the bridge over the Waugh River. The cemetery is on the left about 100 m. from this bridge. Turn left onto Sand Point Road.